To have good ideas, have many because ideas are the currency of life. IdeaPad helps you exercise your idea muscle to strengthen it. You must stop censoring your own ideas in order to get used to having them, noticing them, and developing them. 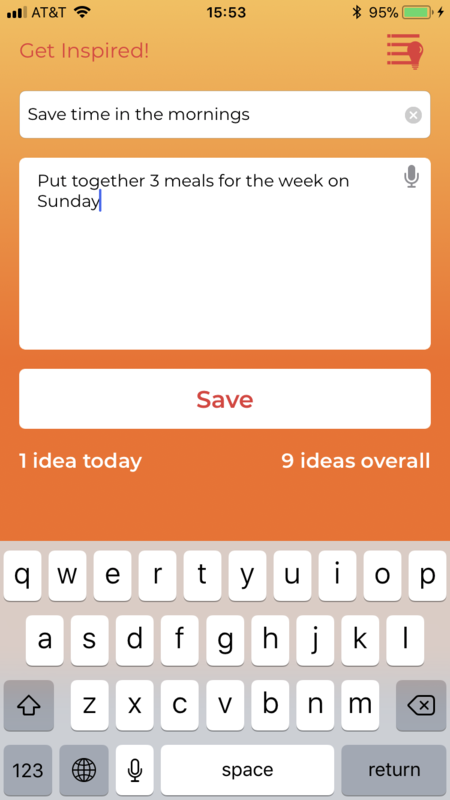 Practice daily by writing down 10 ideas. Or any number really. Hold yourself to a daily practice to improve your ability to come up with ideas and solve problems. IdeaPad is very simple: write or speak your idea. Save it. Repeat. The main purpose of IdeaPad is to practice expressing them, not to make sure they are all great, not to develop them into something bigger, not to judge them. All of these steps come later. Because of this, IdeaPad doesn’t allow you to edit past ideas. You can’t delete them (unless you delete the app). You can only add to them. Get used to producing ideas... and producing lots of them. 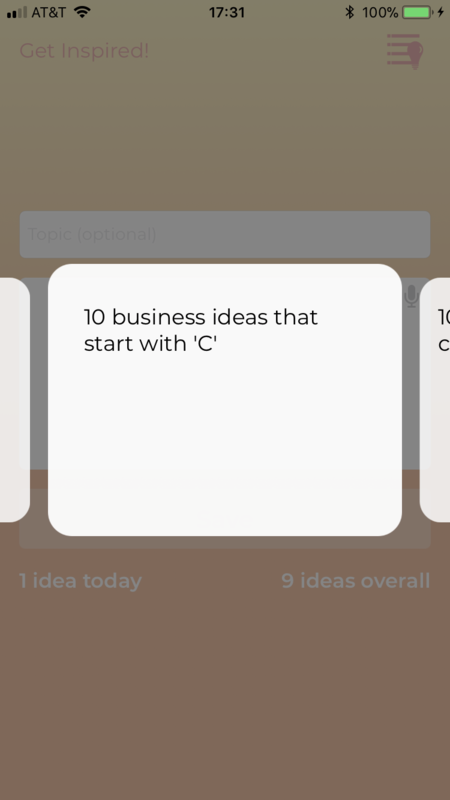 What to do if you can’t come up with 10 ideas? Come up with 20! Give yourself less time to write them to make sure your inner censor doesn’t stand a chance. 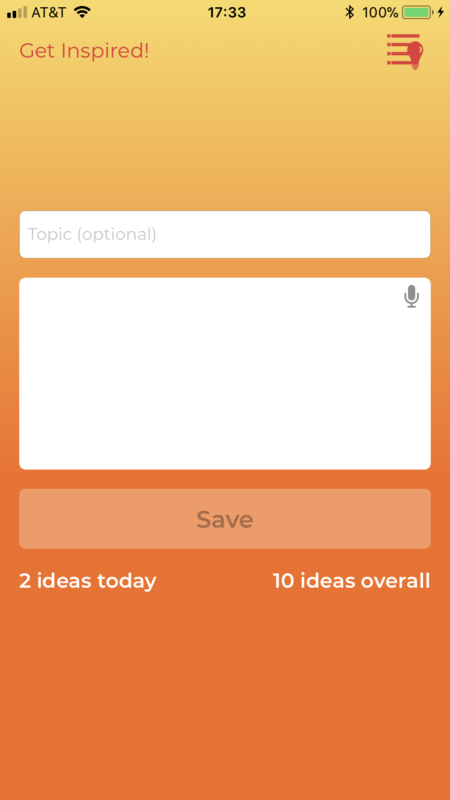 Use our inspirations to set a topic for your idea-generating session. Think you are onto something really great? We are not here to steal it. We never upload your ideas anywhere. 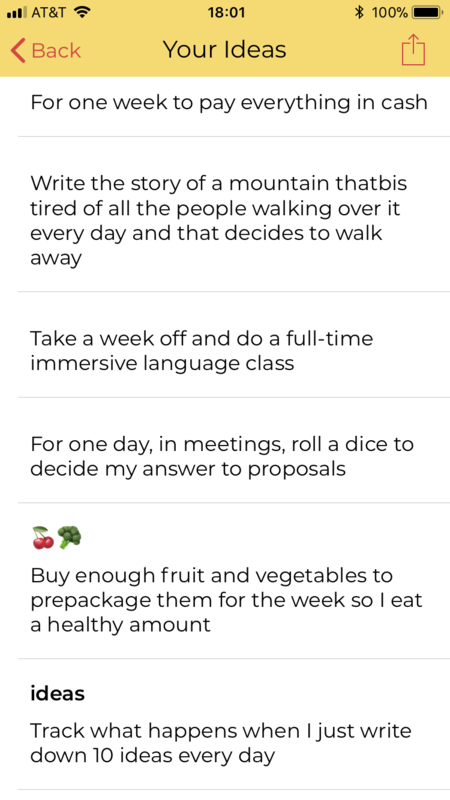 If you want, you can export all your ideas by sending them to yourself via email. Then do with them what you want: start that new project, build a successful business, do something amazing, have fun!